Surprise hearing on a key land use bill? Find Liz Frenkel! NOW! Really bad wetlands bill? Find Liz Frenkel! NOW! Liz Frenkel tracked the legislative process like few others. She understood the ins and outs of committee procedures, knew the key actors, kept her eye on bills and amendments daily during session, and testified, testified, testified. Liz also got in on the ground floor of policy making, serving on numerous agency-led committees and task forces. Liz, along with her husband Dr. Robert E. Frenkel, were often referred to as the power couple for wetlands in Oregon. Bob and his many graduate students at OSU conducted wetlands research, and Liz tapped into his expertise to inform her analysis of policy and legislation. Bob confessed to disliking the political end of things; Liz thrived on it! 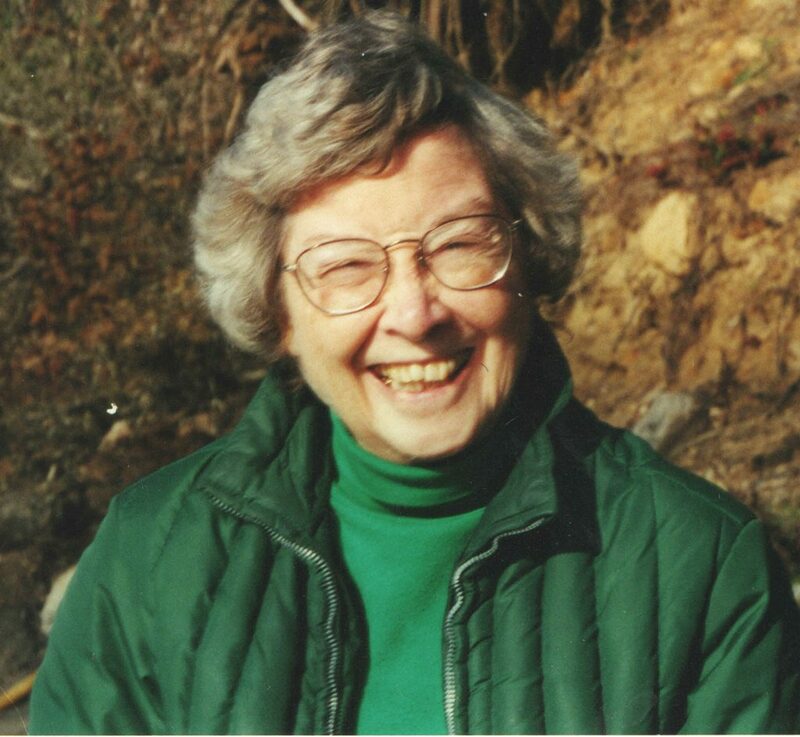 Liz was an active member of the League of Women Voters for over fifty years, with a special interest in water issues. She served as the League’s State Natural Resources lobbyist from 1997 to 2008 and was very involved in land use and water committees. She also served as a lobbyist for the Sierra Club from 1980 to 1997. She lobbied in Washington, D.C. for the NW Regional Power Act, the Hatfield Wild and Scenic River Bill, and for auto emission regulation. She was the natural resources coordinator for LWVOR until 2008. Along with her husband Bob, she won the 1983 Oregon Chapter The Nature Conservancy Service Award. In 1989-90 she was awarded the Siuslaw National Forest Public Service Award, and she was awarded University of Oregon’s Distinguished Service Award in 2005. Liz earned her Bachelors degree at Stanford University and began a graduate degree before running out of money. In 1972, she met with the dean of the University of Oregon School of Law and told him she wanted to go to law school; he advised against it, warning her that she would have a difficult time getting a job. Looking back, she realized she should have never listened to him. The work Liz did was not easy, and was often contentious, but she never tired of it. As she aged, she could not sit on the sidelines “and just play games,” as she once said, even after Bob died. Just a couple of weeks before her death, friends and colleagues received e-mail from Liz alerting them to local environmental issues she wanted them to be aware of. She never lost her passion for working toward a better Oregon and world. I knew Liz when I was the Mitigation Program Manager at the Department of State Lands. What a great woman! She was a tireless advocate for all things environmental. She will be missed! What a woman she must have been! My condolences to all lucky enough to know her.